I love the end of the year. It's a time of looking back and remembering. A time of looking forward and planning. My own immediate plan includes listing resolutions for the New Year. Stop procrastinating, learn Italian, improve my cooking, reorganize the basement. 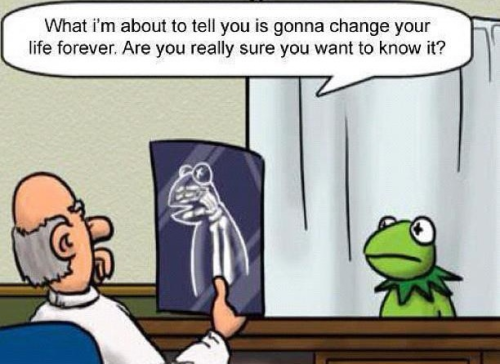 Right now, change for me is only a list on a piece of paper. Changes for characters in two books I've recently read result from crime. Other changes these characters face are cultural shifts and relocation. 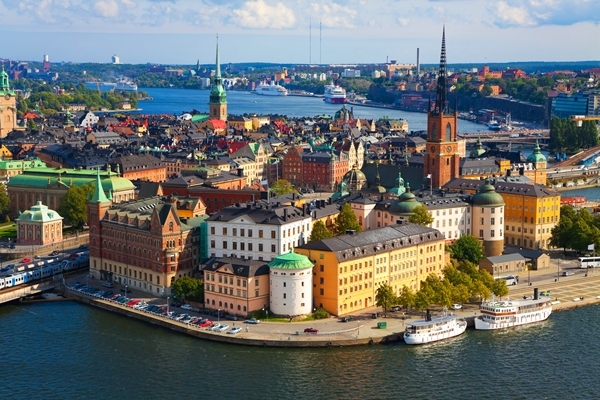 As Arne Dahl's 2011 book, Misterioso, begins, two Swedish industrial titans are killed. We readers know that the murderer likes to work to the accompaniment of music. Detective Superintendent Jan-Olov Hultin doesn't know this but crime scene similarities make him suspect a serial killer. Hultin, of Stockholm's National Criminal Police, learned lessons from the unsuccessful investigation of Olof Palme's assassination. This investigation will be conducted by an A-Unit of highly skilled young cops gathered from all over Sweden. They include "a pale Finn, a blackhead [a Swede of Spanish ancestry], a west coaster, a fifth columnist, a Goliath meat mountain, and a media hero." The media hero is Detective Inspector Paul Hjelm, who resolved a hostage situation at a Huddinge immigration office by wounding the Albanian hostage taker. Unfortunately, Hjelm isn't a hero to his lonely wife or to the internal affairs officers investigating the shooting. The IA officers ask him to look into his heart and answer questions about why he broke the rules. When he joins the A-Unit, Hjelm is feeling empty and estranged from his family and society. Sweden is changing. Today's crimes don't happen in an Agatha Christie world but in a day of "postindustrial capitalism, Eastern European mafia, and the collapse of Sweden's financial regulatory system in the 1990s." Hjelm and his new colleagues clash as they probe the business connections, leisure activities and social lives of the murdered men and try to identify a pattern that will point to the next victim. On their way to discovering the killer, they change as they learn more about each other and themselves. 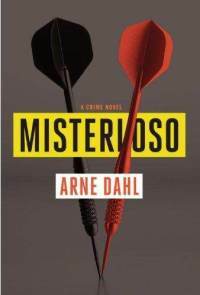 Misterioso is the first of 11 novels in Arne Dahl's Intercrime series. It's the only one so far to be translated from Swedish into English. Other than including too many confusing street names, Dahl's writing style is clear. Tiina Nunnally's translation is smooth. The plot involves a challenging crime and good detective work, but most of all I liked the A-Unit detectives. Hjelm, whom we know best, is a little alienated and confused, but he's on the sweet end of the lone-wolf spectrum of fictional detectives. He doesn't drink, brawl, beat up suspects, chase skirts or break rules for the hell of it. He's more like Henning Mankell's Kurt Wallander (subtract 90% of Wallander's gloom) than Jo Nesbø's Harry Hole (subtract 100% of Harry's alcohol abuse and 85% of his crazy derring-do). Arto Södestedt, the A-Unit's pale Finn, is a particularly interesting guy, a defense attorney before he became a cop. He decries the new capitalists of nonproductive business ventures, "money-movers whose wealth benefits no one but themselves, either in the form of job creation or tax receipts." In addition to social commentary, there's also some enjoyable commentary about America's fascination with serial killers. This is a great book and reading the next Intercrime book to come out in English will go on my list of New Year's resolutions. Rick Gavin's Ranchero is the first book in a series, was published in 2011 and contains a main character who's feeling like a duck at a chicken fight. Other than these similarities with Misterioso, they're as different as a waltz and a kick in the pants. I met Percy Dwayne Dubois after a fashion at his Indianola house. I'd come to collect his television and was explaining to his wife that they'd gone three months delinquent on their rent-to-own installments. He eased up behind me––I heard the joists complain––to offer commentary with a shovel. The narrator who's been clobbered is repo man Nick Reid, former deputy sheriff in the eastern Virginia uplands. He spent most of his time there sorting out the same couple of dozen people. When their children came of age to be sorted out too, Nick decided he hadn't done a speck of good and needed to leave. He moved to the Mississippi Delta, where the terrain was about as far from the Virginia "hillbilly hollows" as he could get. 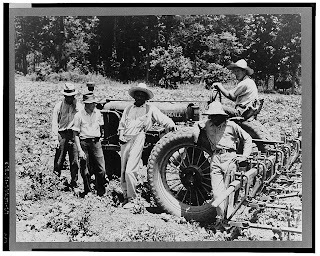 The Delta is famous for its blues music and rich agricultural land. 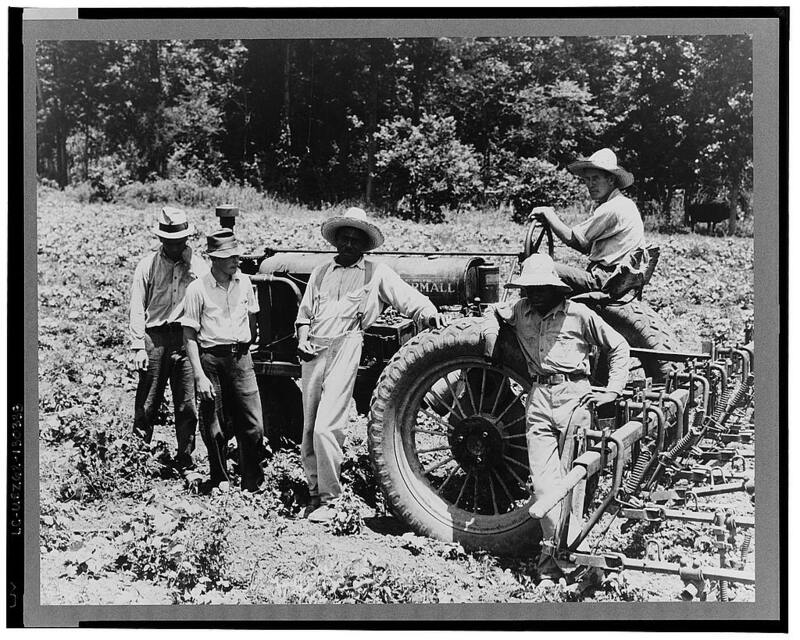 It was farmed by back-breaking hand labor, first by slaves and then by anybody the planters could entice to the property. Their hiring resulted in a population, culture and cuisine that are ethnically diverse in a way that the South in general isn't. Today, a planter can run a large soybean or corn operation with a few tractor drivers and combine operators. The towns are still standing but many people have left. Life for those remaining in the Delta demands "sweet-tea existentialism, a view of the world narcotic at bottom and sugared over with courtliness." Moseying back to our narrator, Nick, who's lucky he isn't dead. The Duboises (pronounced DEW-boys) are notorious cracker trash and Percy Dwayne's wife Sissy is a Vardaman, "whose folk had migrated to the Delta because the folks back home in Kentucky weren't malicious enough to suit them." Sissy and Percy Dwayne grab their baby and drive away in a pristine calypso coral 1969 Ranchero. This is the Ranchero Nick's landlady had insisted he borrow when his car broke down. Nick had promised to return it without a scratch. He recruits his best friend Desmond and they hit the road to get the car back. This is an absolute joyride of a book. It's full of unexpected twists and turns, black humor, sharp social commentary and unique characters. Here are four to give you an idea: Nick's boss K-Lo, a hot-tempered Lebanese rental shop owner whose prized possession is a stuffed catamount he likes to brag he killed himself (neglecting to mention he hit it with his car); Nick's best friend Desmond, who can't fit behind the wheel of his Geo until he shoves the driver's seat far back off the rails to make "a kind of fainting couch"; Nick's landlady Pearl, a "relentless insister by disposition," with a son in New Orleans who lurked "just out of insisting range"; and a cop named Dale, "a musclehead who appeared to live on supplements and Skoal" and liked to beat up civilians. I'll leave you the fun of discovering the other backwoods characters Nick and Desmond encounter. I'm totally psyched to learn that Beluga, the second in Gavin's series, was published last month by Minotaur. Books by Carl Hiaasen, Tim Dorsey and Joe R. Lansdale (his Hap Collins and Leonard Pine series) share some similarities in southern noir and comic flavor but Nick's narrative voice is unique. Beluga goes on my resolutions list, too. Now, if only all my resolutions were this fun and easy, I'd be a new woman in 2013. Well, you got me to add MISTERIOSO to my list. It sounds a lot better than the similarly-themed but boring and annoying BETWEEN SUMMER'S LONGING AND WINTER'S END, by Leif G. W. Persson. Sister Mary, I haven't read Persson's book. Your comment made me curious and I did some digging. It seems to be the type of book some readers call ponderous and others call exceptional. The leads that didn't pan out could have been trimmed in MISTERIOSO to make the pace more exciting but I enjoyed it most for its social commentary and characterization. I think I will add MISTERIOSO to my Christmas wish list. I was at the library this afternoon and nabbed it. I may be misremembering (I'm good at that), but I seem to recall that Georgette either read or was planning to read RANCHERO. Sister, maybe you're thinking of Burton's THE ROGUE'S GAME? I spent some time this afternoon reading about the Olof Palme assassination investigation. The list of possible international suspects is almost endless. I've had Arne Dahl on my wait list for new Scandinavian crime fiction. Thanks, Susie. I hope you, MC and Sister MM share your reactions to Dahl's first Intercrime book with us. Olof Palme's murder was a terrible tragedy. I'd like to think one of these days we'll know who killed him.